Join your colleagues for the Monthly Membership Bar Luncheon to be held on Wednesday, May 1st, 2019 at the Double Tree Hotel, OP. We will hear from Dr. Michelle Robin. 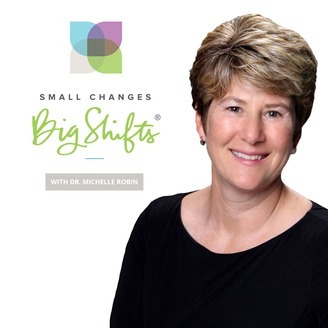 She is an international speaker, best selling author, radio host, practicing chiropractor, and founder of Small Changes Big Shifts®. She is the Chairman of the Board of the BigShifts Foundation®, an organization that exists to empower people to whole health through balanced daily practices and wellness providers who guide them. Dr. Robin is also the founder of Your Wellness Connection, P.A., one of the nation's most successful integrative healing centers. Dr. Robin consults with businesses and non-profit organizations developing wellness programs. She is a keynote speaker on the topic of improving individual well-being and creating a culture of wellness, and has presented to a wide variety of companies, organizations, and conferences across the US and Canada. Small Changes Big Shifts empowers people to whole health through balanced daily practices and wellness providers who guide them. We educate consumers and professional providers, and offers programs and consulting services in whole-person health. We believe the shift to whole-person health starts with greater access to interdisciplinary wellness providers and consistent, daily practice through The Quadrants of Wellbeing. We want to disrupt the current healthcare paradigm by empowering consumers with practices that put the odds in their favor to be well and stay well. The buffet opens at 11:45 am and the program will conclude by 1:00 pm. Reservations are not required, but if you'd like to invite a guest, please RSVP to Tracey at tdemarea@jocobar.org.